They offer head to toe coverage and protection from the cold and are ideal candidates for layering. Ladies and super fast forward gentlemen I give you the boilersuit. I feel like they are everywhere at the minute? And I'm super glad because they look so damn cool. They can be styled for AM or PM affairs and can be dressed up or down depending on the mood. Plus if you wear them on their own (with no layers over or under) you are done, just zip/button them up and out the door you go. Here is some of my fave girls wearing boilersuits to get you inspired. 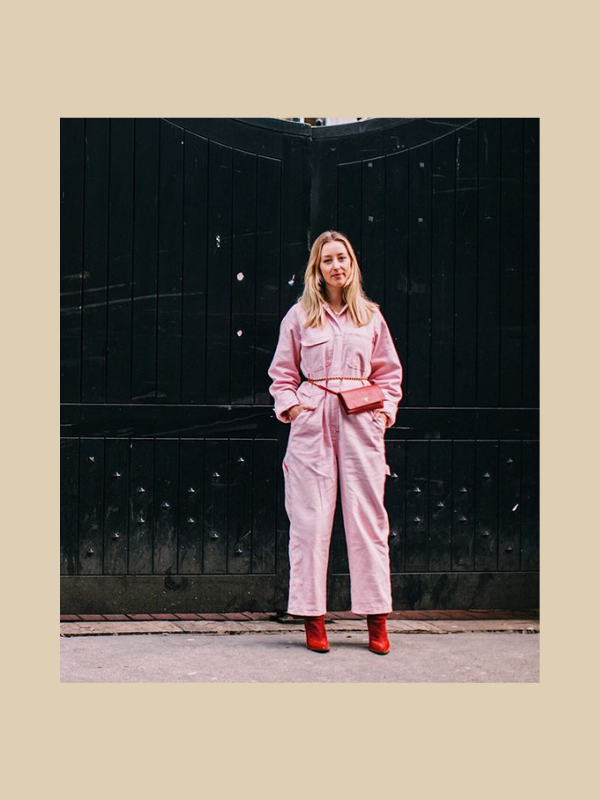 Florrie looking ultra cool in her pink Glossier like boilersuit. I love how she kept the majority of the outfit casual but elevated it with her J'adior heels. Kaia Gerber brings the cool with a layered turtleneck under a black boilersuit, flashy kicks & shades and a bumbag. COS & Monki do great bumbags at the mo. Diletta Bonaiuti opted for a sleek look featuring luxe accessories. Jessica Skye in the boilersuit that got away. 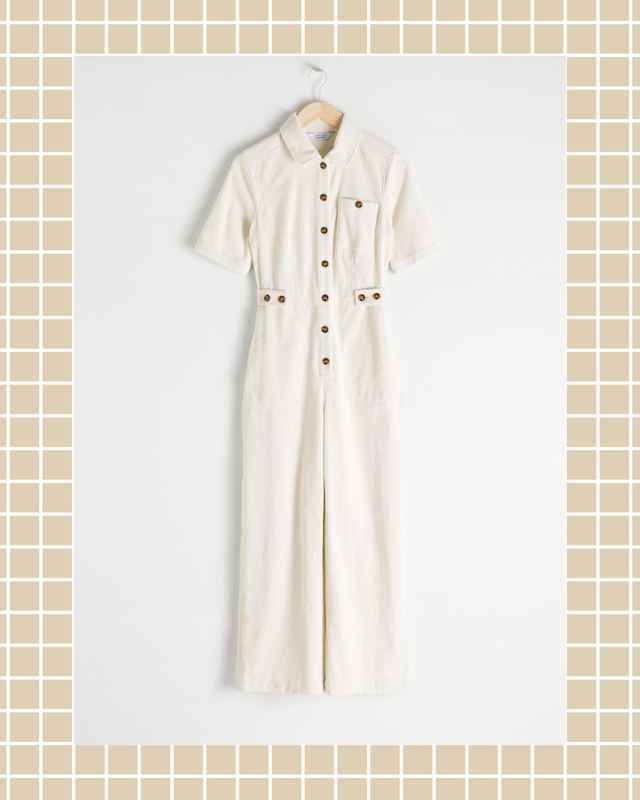 I'm kicking myself for not getting this Topshop piece when it was in stock. They have a very similar one here. 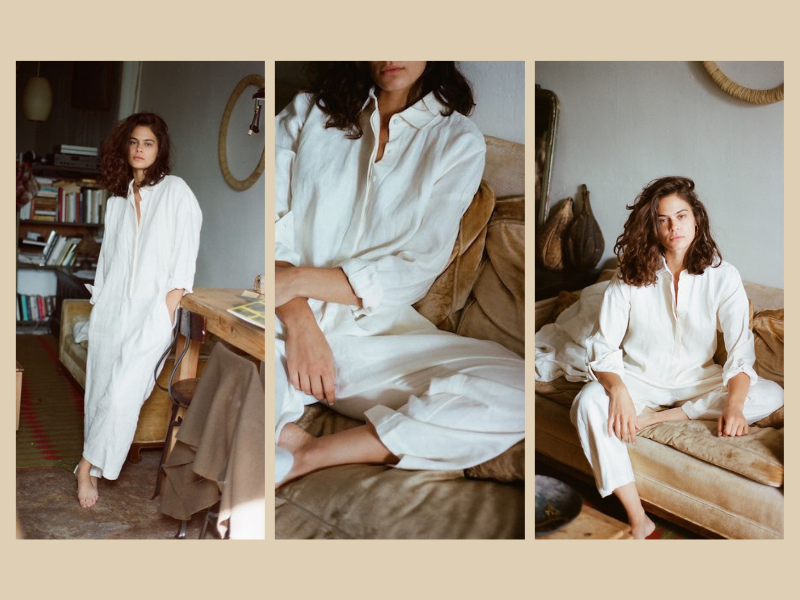 Lexie Smith making all my painter/artist uniform dreams come true. 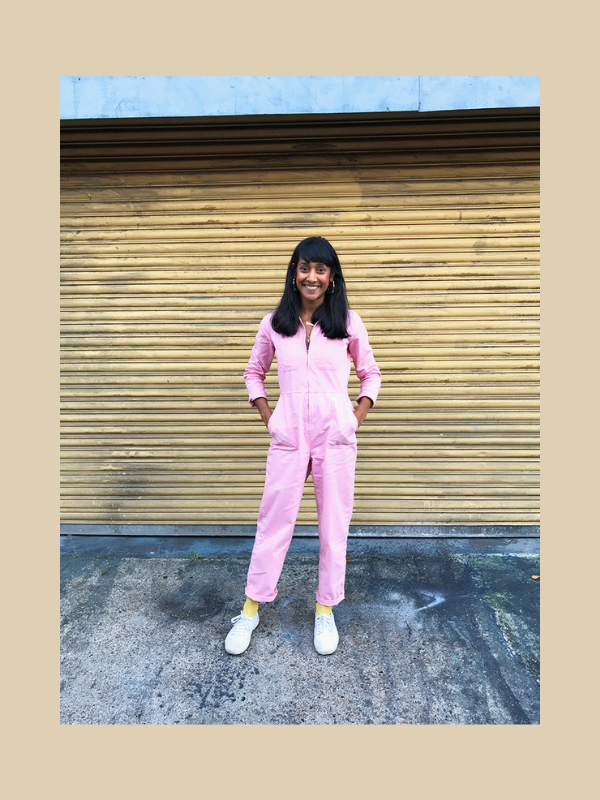 The girl that radiates positivity, Zeena in the Rosie utility jumpsuit via Urban Outfitters. Wondrous colour via The Style Stalker. Another great pink boilersuit, maximum Glossier vibes thanks to the red details. Image via Laura Juul.